On a weekend where the Guinness Six Nations took the spotlight, key results in the Guinness Pro14 round sixteen fixture list has seen gaps form in the standings and for some, it is now must win territory to even get back into the playoff race. Hawkeye Sidekick reflects on the action. Contrasting fixtures for Munster Rugby and Glasgow Warriors in round sixteen. While Glasgow Warriors were putting Connacht Rugby (43-17) to the sword with a sparkling display of running rugby, Munster Rugby were in the trenches securing a victory at the Liberty Stadium thanks in no small part to the performance of Tadhg Beirne who was outstanding. Mike Haley was the hero for Munster Rugby as thirty plus phase effort saw the impressive full back cross over for the game winning touchdown. Ospreys had a chance to win late but that man Beirne was on hand to secure a vital breakdown win. A key victory for Munster Rugby. With the top two extending the gap from their conference foes, it was an opportunity for Cardiff Blues to close right up and slot into third place with a final quarter surge to beat Edinburgh 17-19 on the road. The result looked beyond the Welsh side heading into the third quarter as Edinburgh were ten points up heading into the final quarter but Jason Harries played inspired and setup the victory. Cardiff Blues back in the playoff hunt and with a home against beleaguered Isuzu Southern Kings next, they could potentially consolidate their playoff position. A week to forget for Toyota Cheetahs. Nico Lee’s grovelling apology for ‘Snotgate’ was bad for PR but then there was a potentially devastating loss on the road to Scarlets today. Scarlets reveled in the dry track conditions and Toyota Cheetahs were down and out by the end of the opening quarter. Cheetahs need results to go for them in the next couple of rounds to get into this playoff race. It looks unlikely right now and this road trip could be the beginning of the end for their season. Zebre Rugby. The squad depth issues were wholly exposed at Kingspan Stadium as predicted here in the preview round sixteen blog. Ulster Rugby ran riot and a fifty points plus scoreline was indicative of how easy the fixture was for the Irish province. Zebre Rugby unfortunately have rampaging Glasgow Warriors next at home; best of luck there! If you are looking for the marquee fixture next weekend, then Connacht Rugby vs. Ospreys is it. Two sides who need the win for their playoff ambitions. Ospreys’ run of form has been poor but they showed signs with Keelan Giles that their attacking play is improving. Connacht Rugby need to regroup after that trouncing in Glasgow. The vanquished could be facing post season playoff anguish. The Conference B playoff contenders all won except for Edinburgh Rugby. Leinster Rugby flirted with Isuzu Southern Kings in the opening quarter but then put on the after burners in the second and third quarters to cut loose and inflict another forty point loss on the South Africans. A miserable Irish leg for the Kings. Benetton Rugby were the standout performer on this round. A game which looked like a banana skin was put to be bed early and to score fifty-seven points to a Dragons side who do not know where the abyss is was a true standout. Benetton Rugby will refocus and prepare for a crunch clash against Edinburgh Rugby next weekend; this looks a standout Conference B clash. It is great to see Benetton Rugby so competitive this season and the confidence in the club is starting to be seen in the national side. Ulster Rugby as mentioned above were easy winners against Zebre Rugby. A road trip to Rodney Parade and Dragons is next for the Irish province. Will Dragons react after their miserable outing against Benetton Rugby? Ulster Rugby will need to be on their guard but it is hard to see how Dragons bounce back next weekend. Bernard Jackman was axed but no bounce in results. The club are lacking direction and leadership on and off the park, worrying times. Isuzu Southern Kings are done and dusted this season, the side never got going in truth. Cardiff Blues fresh from their Edinburgh Rugby road trip win will be in full confidence and attacking flow next weekend. The pain does not stop for the Kings! Scarlets were very impressive against Toyota Cheetahs today; a superb response after the road trip loss to Benetton Rugby last weekend. The free flowing running lines were in full view in that opening period. A key fixture at home to Munster Rugby next weekend could be decisive for their Guinness Pro14 playoff hopes. The Guinness Pro14 fixtures set for Saturday are interesting in terms of the playoff ramifications come the end of the season. The hosts of these fixtures look solid favorites but for Cardiff Blues in particular, it is a game where a win is paramount. Hawkeye Sidekick runs the rule over the form guide. A defining round fifteen victory for Benetton Rugby in their victory over Scarlets at home. The result was impressive for a number of reasons. The ability of Benetton Rugby to get off the canvas multiple times to keep to the game plan was admirable; the ability of Ian McKinley to link attacking play was impressive and the ability of the pack to stave off Scarlets advances late incredible. After such an euphoric victory last weekend, it will mean nothing if they cannot back up this performance and beat a Dragons side who are out of playoff contention with little to play for. This is a potential banana skin fixture for the progressive Italian club if they do not execute to the levels required. The team selections have yet to be announced but suffice to say that Benetton Rugby will be missing a couple of marquee players from last weekend. Ian McKinley will miss out as he is on Italian national team duty on Sunday but the side has sufficient talent in the pack to set the platform to win this contest. Dragons will be without the likes of Dee and Wainwright for this fixture. They showed good attacking play last weekend against Edinburgh but their defensive line speed and first time tackling were at times a shambles. Their last quarter display was poor and the failure of the side to produce a cohesive eighty minute performance this season is mystifying considering the experience of Hibbard and Henson in the ranks. This is a fixture where Dragons’ pack could struggle as Benetton Rugby impressed in the set piece exchanges. Benetton Rugby are aware of the mission this weekend; a victory is paramount and if they can achieve a bonus point try then great but this is a fixture that could be a struggle for the Italians more than pundits would expect. Benetton to win but no bonus point as Dragons will look to hang on as much as they can in this contest. This is probably the marquee Guinness Pro14 game on Saturday. Edinburgh Rugby showed the good and the bad in their bonus point try victory over Dragons. The good was undoubtedly their tries scored; some inventive running plays with Darcy Graham and Duhan van der Merwe prominent. The bad was the defensive lapses particularly in the opening period, massive gaps that Dragons exploited to score tries. Cardiff Blues come into this game desperately looking for a victory to keep in the Conference A playoff race. A home loss last time out against Glasgow Warriors; a mixed bag like their hosts last weekend with a poor opening period ultimately undoing all the good work of the Blues late. Their ball carrying and attacking threat is up there with the best in the league but their defensive side of play can be inconsistent and teams have exposed this in recent rounds. The smart money would be on an Edinburgh Rugby win but if Cardiff Blues can compete and stay in touch until the third quarter, they have a serious chance of securing that coveted road trip win that could transform their Guinness Pro14 season. However, I have question marks on how they counteract the threats of Edinburgh Rugby out wide. Duhan van der Merwe is playing at a higher level to last season; looks the key man for Edinburgh Rugby to secure a win. The Ulster Rugby Guinness Pro14 campaign has reached a pivotal point. After a morale boosting shutout win over Ospreys last weekend, it is now time to consolidate their playoff position in Conference B with Scarlets potentially facing a stiff challenge to the Toyota Cheetahs on Sunday. Zebre Rugby arrive at Kingspan Stadium after a home loss to Leinster Rugby. The resiliency was to the fore as they battled gamely after going 0-21 down early to Leinster Rugby as they fought back to make it a 19-21 score at the break. Shrewd game management to take points instead of going for the line in the third quarter proved costly as Leinster Rugby regained composure to take the game away from the Italians. This weekend will see both sides undermanned due to Guinness Six Nations commitments. Ulster Rugby for me look the solid bet to claim a bonus point try. O’Sullivan, Moore and Balacoune look the key players for Ulster Rugby provided that McPhilips / Burns can execute the attacking game plan to a high level. Zebre Rugby will look to compete but in effect, they are out of playoff contention. It is a time to evaluate the squad depth for Michael Bradley and I think they will look to prove a point after a traumatic South African road trip recently. They do not want an embarrassing scoreline inflicted again. Ulster Rugby to win with a bonus point try though as squad depth issues on the Zebre Rugby will rear their head in the third quarter off the bench. After a week hiatus, the Guinness Six Nations tournaments roars back into action. Wales and England is the box office test match this weekend; shadow boxing aplenty in the lead up to this fixture so expect explosive opening exchanges. Hawkeye Sidekick previews the action. The main talking point from the Welsh selection was who was named at fly-half. A straight shootout between the experience of Dan Biggar or the attacking flair Gareth Anscombe. Gatland has made his decision. The ten jersey goes to Anscombe and shows faith in the Cardiff Blues man to deliver in a hot test match environment. This is a good decision from Gatland. It runs the rule over Anscombe in a test match fixture where he will be put under immense pressure in defensive, kicking and attacking game management. It will provide further evidence for the Welsh management can they depend on Anscombe to deliver in the RWC 2019 if Dan Biggar is unavailable due to injury. Anscombe is the insurance policy for Wales at ten if Biggar goes down with injury in Japan. Rhys Patchell may have things to say on that statement but for now, the Cardiff Blues player has the control of the ten jersey. He needs to deliver and make a positive impact to retain the jersey long term. As I have said from the outset of this tournament, I have liked Wales to go extremely close to win this championship. The scheduling of games, their unbeaten form heading into the tournament, the emergence of young talent to challenge the existing marquee names has driven the side further on. Their performance against Italy may have been patchy at times but they provided the likes of Wainwright and Watkin with valuable test match minutes and they impressed. The pack looks mobile and solid in the set piece. Ken Owens is a reliable line out thrower and with an array of line out options in Hill, Jones, Tipuric and potentially Navidi; they will look to execute well in this set piece early doors. The scrum is also solid and Tomas Francis role is key as he packs down against Ben Moon who is playing superbly this season. Francis needs to pose questions early for Moon and hope to sway the official crew to set the platform. No Mako Vunipola is a blow for England in this contest. An intriguing contest nonetheless. The back row unit for Wales has mobility, breakdown and ball carrying nous aplenty. Navidi has been a standout for Wales in this tournament. His skill set is superb and his ability to create turnover ball will require England’s back row unit to pay particular attention to the Cardiff Blues player. Ross Moriarty has got the game time required in recent weeks to make an impact in this test match. Justin Tipuric is a world class back row operator and his all round game complements Navidi and Moriarty perfectly. The back line from Wales is vastly experienced in the three quarters. Davies and Parkes forming a consistently high performing partnership. Davies’ game management at key times will be pivotal. The Welsh back three will be fully aware of what happened to Ireland’s back three in the opening round; they received an artillery aerial bombardment where England targeted Earls, Stockdale and Henshaw. Williams, Adams and North will need to be prepared for this defensive onslaught. Their attacking play has been excellent but the key this weekend is how good they are defensively. You love him. You hate him. Eddie Jones if he was your national team coach, you would love. You would love him if you were a media rat packer or fan as his sound bites always deflect the pressure and criticism away from his players. Jones has placed the pressure this weekend firmly on Wales; he is contend with England’s progress in the tournament so far but you know that he is not really? The England demolition of France in round two came at a cost. Mako Vunipola who impressed against Ireland and France cameo is unavailable for selection for the rest of the tournament. Ben Moon gets the nod to stake the claim for the prop jersey; it is a good depth chart evaluation for Eddie Jones and management with RWC 2019 fast approaching. The pack looks formidable even without the services of Mako Vunipola. There are still question marks on the composure of Kyle Sinckler, he just cannot avoid getting involved in incidents that he has no business been involved in. Sinckler will cost his side dear soon, whether it is this weekend for an act of indiscipline remains to be seen but his temperament will be tested by the Welsh pack. Quality half back pairing in Youngs and Farrell who has elevated his game to new levels for his country this season. His kicking game and attacking calls have been nothing short of sensational. The Tuilagi factor has helped Farrell no end; the Leicester Tigers center has reveled with fast ruck ball. Jonny May try scoring exploits to the fore but it will be interesting to see if Wales can defensively test the Leicester Tigers wing with deft kicking in behind the player. Jack Nowell at full back provides creativity and solidity under the high ball, further proof that Eddie Jones has lost confidence in Mike Brown. It is the marquee NH rugby test match this weekend. Wales and England have had epic tussles in Cardiff in recent fixtures, this will be no different. The question is whether Wales can cope with the kicking game and pack physicality of the visitors? Can Gareth Anscombe deliver? England have impressed in this tournament but there is something about this Welsh side that impresses me this season. The balance of the side looks solid and if Anscombe and the back three can deliver an assured performance against an England side who will pepper all four players early doors, then no reason why Wales cannot win this. A very close fixture, slight edge for Wales given the attacking options on the bench late. After a week hiatus, the Guinness Six Nations tournaments roars back into action. A key test match for France in Paris against a Scottish side who despite injuries will look to secure a road trip in France for the first time since 1999. Hawkeye Sidekick previews the action. To say that this Guinness Six Nations tournament has been an unmitigated disaster for France would be the understatement of the year. Their Waterloo moment at Twickenham in round two has prompted Brunel to make more key personnel changes in hope than expectation. Brunel has heaped faith on the Toulouse back line unit to come to his aid. Ramos comes into the full back slot to relieve Huget from the position. Fickou partners Bastareaud in the midfield, a better coaching decision from France. How France thought that Fickou was a world class wing is more evidence of the erratic team selection currently at play. The half back combination is a Toulouse pairing. Dupont gets a deserved starting test match, the player has impressed for club this season but his ten partner is no other than Ntamack who has plied his trade at twelve this season for Toulouse. The player is more than capable but in the heat of a test match, this is another iffy selection from Brunel and management. The pack looks robust, physical with the likes of Bamba, Poirot and Guirado in the front row. Lambey continues in the second row while there is a change in the back row where Lauret comes in for Camara. Picamoles and Iturria need to provide ball carrying dominance early. The individuals are excellent but the team dynamic is entirely different question for me. Scotland will hope that this is the case and expose the frail confidence with the French camp. The exclusion of Lopez and Parra from the national team squad has wasted energy for Brunel and team when it should have been focused on the game plan this weekend. Scotland will look to win in Paris for the first time since 1999. The task for Scotland is tough considering the injury list compounded by the withdrawal of Finn Russell at the start of the week. The perils of the player plying his trade in France came to haunt Scottish management as Russell suffered the head knock in their loss against Toulouse. A big blow considering that Stuart Hogg also misses out for Scotland; another creative force unavailable. What to expect from Scotland? The pack need to provide a platform this weekend. It will be tough in the opening half considering the size and bulk that they will face in France but hopefully for Gregor Townsend’s side, the French pack will start to tire and could provide some try scoring opportunities. The key is to stay in the contest until half-time and then look to strike in the third quarter. Peter Horne is entrusted to execute the Scottish game plan from the ten jersey. A talented player but at times can be a little predictable in his passing plays; interceptions are not far away. Horne’s kicking game has to be varied to keep France defensively off balance, otherwise Fickou and Huget will sense intercept opportunities. The back line looks potentially exciting provided that they were given sufficient quick ruck ball. Kinghorn, Seymour and Maitland need to take the game to France with their ball carries. The pack is a mixed bag. Nel’s absence means less scrummaging presence which is a concern. Ireland enjoyed good periods of dominance in the set piece in round two and Scotland need to compete in the line out from minute one. They cannot be as passive as they were against Ireland. Magnus Bradbury is a welcome addition for Scotland. The Edinburgh forward has just returned from injury; his abrasive ball carries will assist Scotland no end and should complement the breakdown nous of Ritchie and Strauss who will look to impose himself in the eight channel; looking for Ntamack at every opportunity. This was a contest last weekend that I thought Scotland had a massive opportunity to win but the injury to Finn Russell has tipped the balance. I question how Peter Horne will control this test match sufficiently to see Scotland home here and coupled with Scottish pack vulnerability at the set piece, this looks to me like a France victory provided that they do not hit the self destruction button (questionable to say the least). A weekend where the Guinness Six Nations resumes, there is the matter of round sixteen in the Guinness Pro14. The Friday night fixtures look very interesting with Glasgow Warriors entertaining Connacht Rugby, Leinster Rugby looking to inflict further road trip woe on the Isuzu Southern Kings and Ospreys effectively in a must win home game fixture over Munster Rugby. Hawkeye Sidekick previews the action. The victory last weekend against Cardiff Blues on the road was mission accomplished for Glasgow Warriors looking as a neutral; bonus point try win but there were massive defensive lapses during the contest which on another hand could have cost the Scottish side dear. This time of the season sees Guinness Pro14 sides look deep into their squad depth no more so than Glasgow Warriors who have umpteen players away on international duty or injury so is there an opportunity for Connacht Rugby to perhaps create an upset on the road? Connacht Rugby beat Toyota Cheetahs with a determined final quarter push last weekend. Jack Carty provided the leadership and game management to steer the side through a tricky third quarter spell where Connacht Rugby play was far too open against a team who revel in unstructured play. The squad selections will be interesting. Connacht Rugby have a poor record at Scotstoun. The edge here goes to Glasgow Warriors but Connacht Rugby should be good enough to secure a loser bonus point at least. Glasgow Warriors for their defensive lapses last weekend were sensational with ball in hand particularly in that opening period and for that, they get my vote. I am sorry if you are an Isuzu Southern Kings fan but this could be the low point of low points for the franchise in this tournament and could call into question their participation in this tournament going forward. Their performance (take out the opening quarter) was pretty poor and against a well drilled Leinster Rugby outfit, this looks like a horrendous task for the South Africans. To make matters worse for the Isuzu Southern Kings, Leinster Rugby’s performance against Zebre Rugby may have yielded forty points scored but there were significant defensive meltdowns during the contest, a fact that will not have gone unnoticed by Leo Cullen and Stuart Lancaster. Leinster Rugby should provide a better cohesive defensive display this weekend in front of their home fans and with a vulnerable opposition whose defensive line disintegrated in the second half along with their discipline, this looks like a massacre. This looks like a cricket score. It is fair to say that the start of 2019 has been a disappointment for Ospreys. A poor end to their European campaign as well as inconsistent results in the Guinness Pro14 mean that the Ospreys are backed into a corner; they need to respond and Munster Rugby coming to the Liberty Stadium, it is a perfect opportunity to right a few wrongs. This fixture personally is one to whet the appetite always; no inch given when these two sides meet. The fixture earlier in the season was misleading to say the least; Ospreys’ decision to leave all their marquee players saw a facile home victory for Munster Rugby. This fixture sees key personnel missing from both sides but the fixture to me looks evenly poised. Ospreys work rate was not in question last weekend but what was in their shutout loss to Ulster Rugby at home was their blunt attacking play. Gain line running lines were minimal, poor passing at vital phases did not help matters. The fact that the side did not even get a losing bonus point will have hurt this week in the lead up to this fixture. There has to be a reaction. Munster Rugby are currently top of Conference A. Their form is solid. You could not read much into their display last weekend as they made the necessary adjustments at the break to smash the contest wide open in a 43-0 win over a hapless Isuzu Southern Kings. For me, there is still cohesion issues in attack for the Irish province. Lack of composure in the red zone at times was seen last weekend early and if Ospreys can apply defensive line speed pressure on Munster Rugby, it will be interesting to see if Munster Rugby have an alternative backup plan to counteract this. 50/50 fixture beckons here and is the closest one to call on the fixtures scheduled for Friday evening. Ospreys effectively are in must win home game territory in this round. A loss here and it will be a devastating blow for the side’s ability to secure a top three berth. I sense Ospreys with the frustration of last week fresh in their heads will win this encounter. Munster Rugby should secure a loser bonus point. Time to experiment or go with tried and trusted? 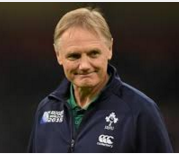 On the eve of Ireland Rugby team selection for the Italian fixture, it will be interesting to see what Joe Schmidt and management decide in terms of providing continuity while attempting to run the rule over certain players in specific positions. Hawkeye Sidekick tries to preempt (if you can Joe Schmidt) the team selection. Rob Kearney yet again showed his worth for Ireland with an assured full back performance against Scotland. The key question now is whether Joe Schmidt decides to retain Kearney in the position or does he look to either (a) retry the Robbie Henshaw full back experiment or (b) look to the likes of Jordan Larmour or Andrew Conway to show their worth. I suspect that Henshaw may get further game time at fifteen; it is realistically the fixture to give the Leinster Rugby player another opportunity in the position without having adverse impact. If the decision is to go with Robbie Henshaw, then Schmidt will immediately look to retain Jacob Stockdale and Keith Earls on the wings for continuity. It would be perceived a risk by management to change all back three positions given the potential for cohesion issues on both sides of the ball. The hope is that Larmour or Conway secure valuable game time in this test match; suspect that one of the players will get that game time and it will be probably Jordan Larmour. Bundee Aki should see more game time action at twelve. The question mark is whether Chris Farrell is fully fit to take his place at thirteen. Farrell has had issues with his leg / knee in recent weeks but given the team bulletin today, it looks like Chris Farrell will fill the thirteen channel. Abrasive ball carrying the order of the day. Joey Carbery is primed for the ten jersey to build on his performance last time out against Scotland. After a nervy opening cameo, Carbery produced a strong second half performance which saw the pivotal gain line break for Earls to score the game winning try. Carbery needs game time ahead of RWC 2019 and will get it during this test match. The scrum half option debate is interesting but I suspect that Conor Murray will start the contest to provide experience and leadership. There have been differing viewpoints on Murray in this tournament; think he is the victim of his own brilliance and world class high standards. There have been kicking inaccuracies but his overall play has been on point for me. The hope is that John Cooney will get more than the customary three minute cameo at the death to provide further game tape for Joe Schmidt and management to evaluate the Ulster Rugby player. The unit went well in Murrayfield with the scrum particularly impressive. The Italian scrum looks vulnerable and it could be a cast of switching up front row personnel for this test match. Dave Kilcoyne and Sean Cronin for me should get the nod. Kilcoyne’s all round play has elevated to new levels this season while Sean Cronin has become a try scoring machine for Leinster Rugby. Tadhg Furlong should potentially start to provide some consistency in the front row. John Ryan’s impressive form should see additional game time this weekend. James Ryan will start this test match. The Leinster Rugby lock has been a standout again during this campaign. The intriguing team selection is who partners Ryan. I think Quinn Roux has to be given more time considering his performance against Scotland in round two. With Tadhg Beirne just back in training after his knee injury, Iain Henderson is available if there are issues in the set piece. I think it is fair to say that there will be minimum changes to this unit given their performance last time out. O’Mahony potentially may be the player to be rested for this fixture with the likes of Jordi Murphy desperately looking for game time. Jack Conan and Sean O’Brien will surely get the nod for this game and considering the absence of Sergio Parisse in the Italian back row, the Ireland back row unit will be keen to assert their dominance early and set the breakdown platform. A weekend where the playoff picture became a little bit easier for some, a little bit complicated for others while for the likes of Zebre Rugby, Dragons and Isuzu Southern Kings, it is time to evaluate squad depth and make the necessary calls to improve their sides before the off season. Hawkeye Sidekick reflects on the action. Munster continue to lead this conference after an emphatic 43-0 shut out win over an Isuzu Southern Kings who after a bright opening quarter lost composure, discipline and line speed. The hosts made the necessary adjustments at half-time to negate the Kings breakdown threat and the result thereafter was never in doubt. A road trip test to Ospreys next weekend will be a true indicator on whether the Irish province have the quality in squad depth to secure a top spot berth in this conference. Glasgow Warriors had to withstand a late fightback from Cardiff Blues with a bonus point try win over a Cardiff Blues who were made pay for a slow opening half cameo which saw Glasgow Warriors score three tries. The attacking phase play was on point from Dave Rennie’s men but the management surely must be disappointed with how the game went so close late on; poor defensive line decisions. A key fixture against third placed Connacht Rugby awaits next weekend at home. Twelve months ago, Connacht Rugby would have lost this encounter with the Toyota Cheetahs. They were asked the questions in the third quarter when Venter scored to put the South Africans ahead 15-17. It was a time for cool heads and composure from the team’s leaders and they delivered at the death. Jack Carty composure in full view in that final quarter; orchestrated the game plan superbly and provided shape to Connacht Rugby who were at times guilty of playing a little bit too open and unstructured; two facets of play that Toyota Cheetahs love to see. Ultan Dillane was immense with eighteen tackles, nine passes and four carries. Ospreys lost further ground to their playoff rivals with a shutout loss to Ulster Rugby at home. It was a frustrating game for Ospreys whose work rate was high but lack of quality in the final pass was seen more than once. A key fixture against Munster Rugby next weekend is now a must win fixture for the Welsh region. Yet another loss could prove fatal in their hopes of securing a top three playoff berth come the end of the regular season. Zebre Rugby video analysis will be the good, the bad and the downright ugly. The good was how the side bounced back from a horror start conceding three tries to Leinster Rugby early to then respond with their own efforts. 19-21 at the break and Zebre Rugby will rue the fact that they refused points opportunities in the third quarter. Renton was superb for Zebre Rugby but a key knock on with ten minutes left saw the cue for the Leinster Rugby juggernaut to create sufficient momentum to close out the contest. Forty points conceded was harsh on Zebre Rugby given their efforts in the contest. Conference B: Hail Hail Benetton Rugby! Leinster Rugby are away and out the gap in terms of Conference B. They will be the top seeds in this conference come the playoffs. Yet another bonus point try win on the road. Yes, there were issues in defensive line speed and missed first time tackles but the squad will improve from the outing. Edinburgh Rugby secured a bonus point try on Friday night against a Dragons side who showed some attacking promise only to be let down with poor defensive line speed and first time tackling. A good performance from the likes of Darcy Graham in the opening period setup this victory for the Scottish side and then Duhan van der Merwe made sure of the win with two tries in the final quarter. A win to create momentum ahead of their clash with Munster Rugby next month in European Cup action. Benetton Rugby took a huge step in securing playoff rugby with a 25-19 win over a Scarlets side who showed the usual attacking flair but were put the sword by a high energy pack performance from the Italians. Ian McKinley continued his good form with a standout display at ten; his diagonal kick for the decisive game leading try in the second half a highlight moment. Scarlets showed massive upside with ball in hand. Hardy, McNicholl (2) scoring from excellent line breaks but the Welsh region were made to pay for inaccuracies. The final phase indicative of the issues experienced by Scarlets; a line out misfire gave Benetton Rugby the opportunity to steal the ball and close the game out. Scarlets five points behind the playoff spots; not a time to panic but another couple of losses in the coming weeks could be fatal in their pursuit of playoff and Heineken Cup ambitions. Ulster Rugby secured a vital win against the Ospreys. It was a dour affair but a decisive opening try from Stuart McCloskey paved the foundation for victory. Ospreys’ attacking threat was snuffed out by a disciplined Ulster Rugby defensive display and John Cooney made sure that Ospreys left the contest with nothing with a last minute penalty. A pivotal win for Ulster Rugby in the conference playoff race; keeps them in touch with Benetton and Edinburgh. A key series of league fixtures beckon now to launch the decisive playoff move. After Edinburgh Rugby, Ulster Rugby and Munster Rugby secured victories last night, focus switches to fixtures on tap today with a couple of teams in must win territory to keep their playoff hopes alive. Hawkeye Sidekick reflects on the action. Such is the talent and squad depth currently at Leinster Rugby that the first fifteen on duty today looks incredibly strong and powerful. Andrew Porter gets game time in the front row ahead of a potential test match cameo against Italy. This lineup is a testament on the magnificent work done at the Leinster Rugby academy, looking forward to seeing the cameos from Murphy, Doris and Deegan in the back row. Jack Dunne is primed for his Leinster Rugby debut off the bench, yet another exciting prospect. Zebre Rugby are threading water until the end of the season. After an encouraging start to the season, injuries and squad depth weaknesses have taken their toll. Michael Bradley has done as good a job as anyone could given the circumstances. This fixture looks absolutely daunting for Zebre Rugby as Italian international players Castello, Lovotti, Padovani, Palazzani and Sisi are away with their national team squad. When you add injuries to Bellini and Meyer, you see the task in front of the Italian side. The only saving grace for Zebre Rugby is that this is the first in the next block of fixtures. Early cohesion issues should be seen and this should hopefully allow Zebre Rugby to get a foothold in the game. However, the strength of Leinster Rugby should be seen in the third quarter to secure a bonus point try win to widen the gap to the rest of the Conference B pack. This is an intriguing fixture. Connacht Rugby have earned plaudits aplenty after their encouraging start of the season under the management of Andy Friend but we are now at the business end of the season. It is time for the side to deliver accurate, solid game managed performances. It starts today. Connacht Rugby play host to a Toyota Cheetahs side who have shown good form leading into this fixture with tries scored at regular intervals over Zebre Rugby and Isuzu Southern Kings (home and away). Cheetahs will look to play an unstructured game; look to attack from all angles. Connacht Rugby must pick their moments to go wide and when they do, they must be clinical in execution. Connacht Rugby are boosted with the return of Irish international contingent Ultan Dillane, Caolin Blade, Jack Carty and Tom Farrell. Kieran Marmion makes a timely return to the side on the bench. Marnus van der Merwe and Dries Swanepoel make their debut starts for the Cheetahs, Louis Fouche comes into the side at fullback. Ox Nche and Henco Venter return to the starting lineup as well. If the weather is decent, expect Toyota Cheetahs to deliver a performance with ball in hand. This is a 50/50 fixture, a fixture in the past that Connacht Rugby have expected to win but got turned over, thinking of the Zebre Rugby home game last season. Accuracy and game management are keywords for Connacht Rugby and I think they will just do enough. Anything less and Toyota Cheetahs and inflict a big playoff dent to Connacht Rugby’s ambitions. Despite international duty call ups, this is the key Conference B fixture on tap this weekend. Benetton Rugby must prove to league observers that they are a genuine playoff threat and a home game against an inconsistent Scarlets side, there is an opportunity to deliver a marquee statement. The team news for the Italians is mixed. A couple of Italian internationals unavailable but Benetton Rugby can call on the services of Ian McKinley and Federico Ruzza. Their back three threat is excellent with Ioane in the ranks. Scarlets also welcome back Rhys Patchell and Steff Evans to the match day squad. Leigh Halfpenny continues to be a marquee absentee for club and country. Jones and Hardy form an exciting half back partnership. For the league to improve and prosper, it needs a strong Italian club representation come the playoffs. Benetton Rugby for me need the victory more. This will be a tight encounter but expect a progressively improving Benetton Rugby to shade this. Scarlets are threading water until Pivac and Jones depart the club. This is a fixture which could have massive implications for either Glasgow Warriors or Cardiff Blues. The hosts need to win to keep their playoff hopes alive while Glasgow Warriors need to win to keep tabs on Conference A kingpins Munster Rugby. The team news for both sides see squad personnel changes aplenty. International duty deprives both sides of marquee first team starter. Cardiff Blues can call on the services of Turnbull, Evans and Davies while Glasgow Warriors do not have the same luxury. Cardiff Blues have been inconsistent this season. When they are on, they are devastatingly good, quick ruck ball and attacking platform from the likes of Nick Williams and Rey Lee-Lo. When they are off, they are poor at best. Glasgow Warriors have arrested the league slide somewhat but this is a tough road trip assignment. If they can negate the opening quarter, no reason why Dave Rennie’s charges cannot get a win out of this but the victory need is more for the hosts. Cardiff Blues loss and their playoff ambitions will be massively dented, must win territory required from here on out. Blues to win but Glasgow Warriors should earn a loser point at least.